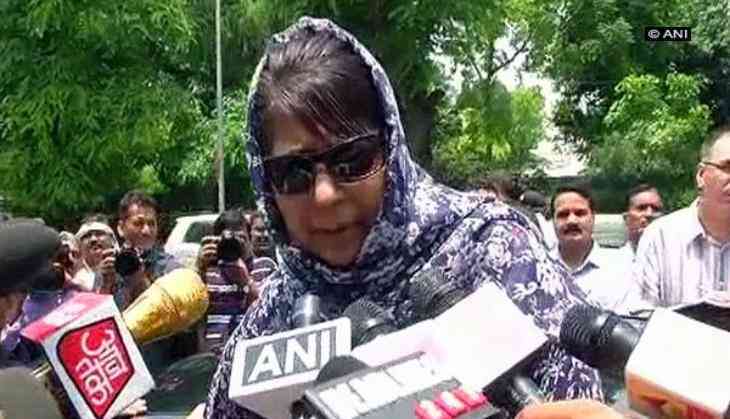 Jammu and Kashmir Chief Minister Mehbooba Mufti on Saturday condemned the killing of a Territorial Army soldier Irfan Ahmed Dar at Shopian in the state. The Chief Minister said that such heinous acts will not weaken the government's effort to restore peace in the valley. "Strongly condemn the brutal killing of Irfan Ahmed, a brave Territorial Army soldier at Shopian. Such heinous acts will not weaken our resolve to establish peace and normalcy in the valley," she said in a tweet. The bullet- ridden body of 23-year old jawan was found in Jammu and Kashmir's Shopian on Saturday. The locals found the body lying in pool of blood at Wothmula Nad area of Keegam, after which they informed the police. Dar had reportedly gone on leave 10 days ago and had gone missing yesterday.